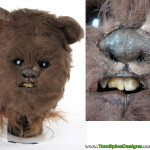 Restoration of an original Ewok mask from Return of the Jedi. 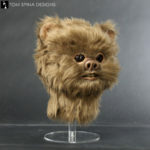 Ewoks are one of the most debated species in the Star Wars universe but there is no denying the large part that they play in the final film of the original Star Wars saga, Return of the Jedi. We’ve done our share of work on screen used and production Ewok masks and props here at our studio. 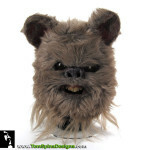 This particular movie prop Ewok mask was in fair condition, but an aging foam latex mask like this will sometimes need a bit of care. 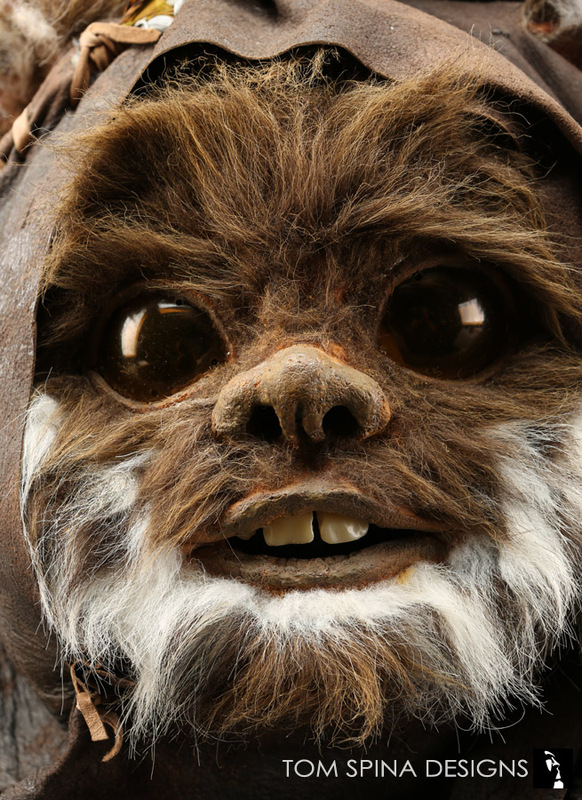 Careful attention to minor cracks and preservation work by our skilled restoration artists can help conserve an iconic piece of Star Wars history over time. 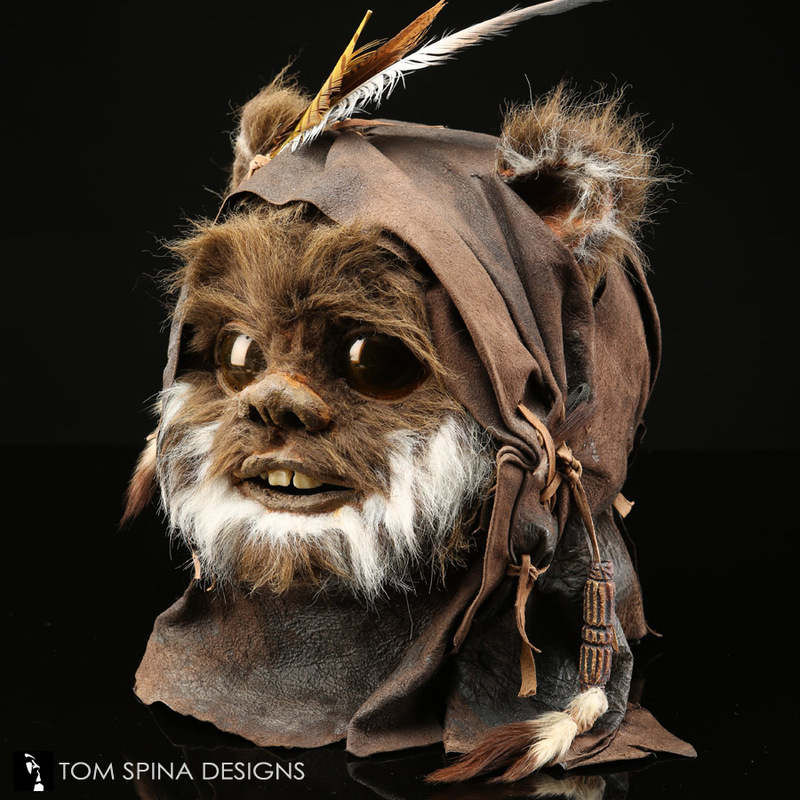 And what a bit of film history this is, a true rarity to find an screen used Ewok head with the original hood from the film as well! We began by stabilizing and then patching the cracked an missing areas on the nose and mouth. 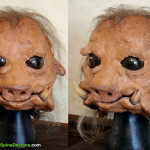 The face skin for this prop mask was made from foam latex and over time this material can dry out and become quite fragile. 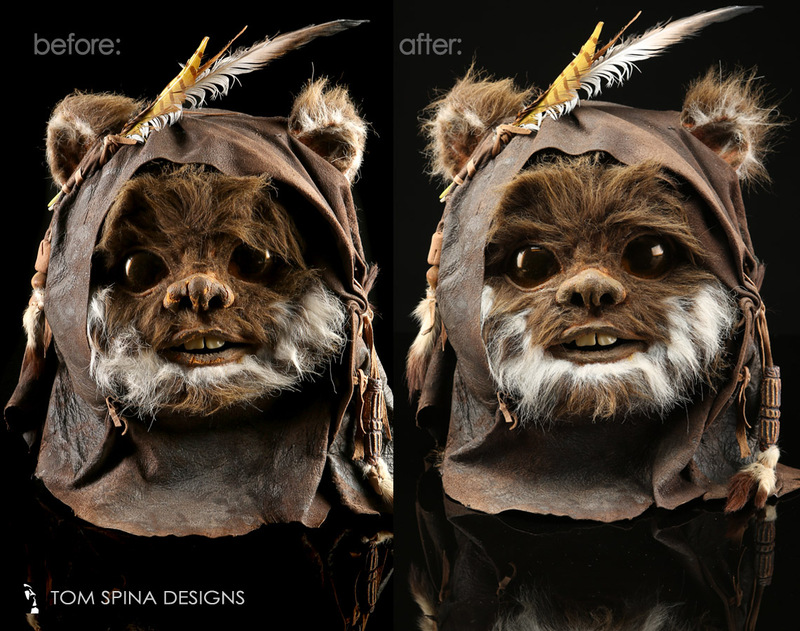 Patching these missing areas not only gives the final piece a better look it can also strengthen the prop skin to better hold up over time. Tending to cracks before they worsen is important when conserving original latex props and masks. Once the areas were patched and textures matched, paint was carefully mixed to match the surrounding original material. While the area to be painted is quite small, this process can be very time consuming. 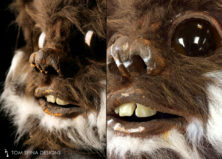 Remember, our artists only paint the patches, not the whole skin. Our goal is to make the patches virtually invisible, so it is crucial that the paint colors match exactly. 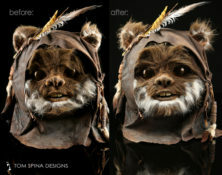 To complete our work, we gave the Ewok mask’s fur a refresh to give it back that fluffy look that it had in the original film. 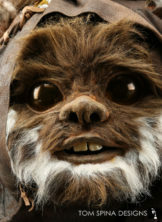 Yub Nub! 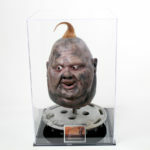 He’s looking great!